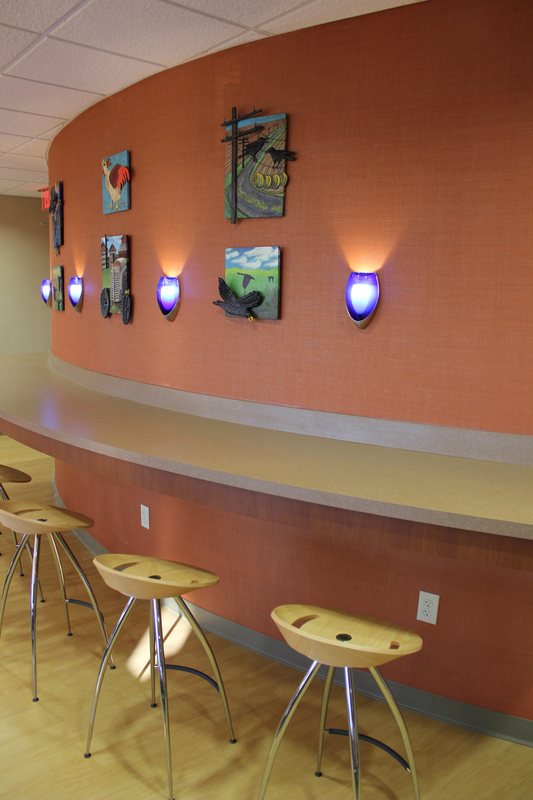 In 2008, Farm Credit Mid-America approached us to help redesign their retail office prototype. 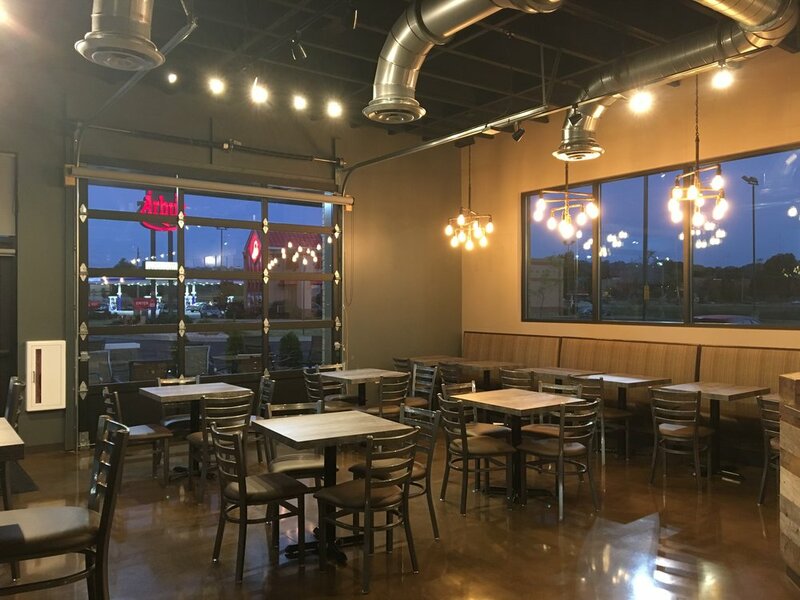 In the years since, AJRC has delivered over fifty new buildings, additions, and renovations in Indiana, Kentucky, Ohio and Tennessee. 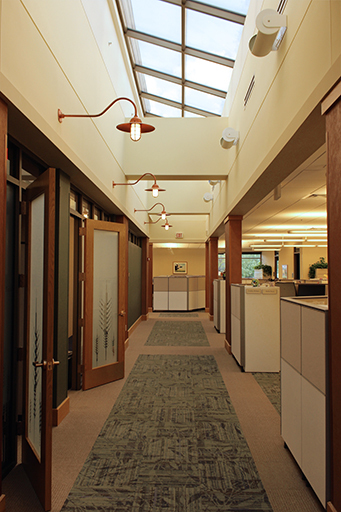 Farm Credit Mid America approached us to help with a 22,000-SF office fit up at 5 Corporate Center in Louisville, Kentucky. This office is the first office in Louisville to receive a recently introduced re-branding palette. 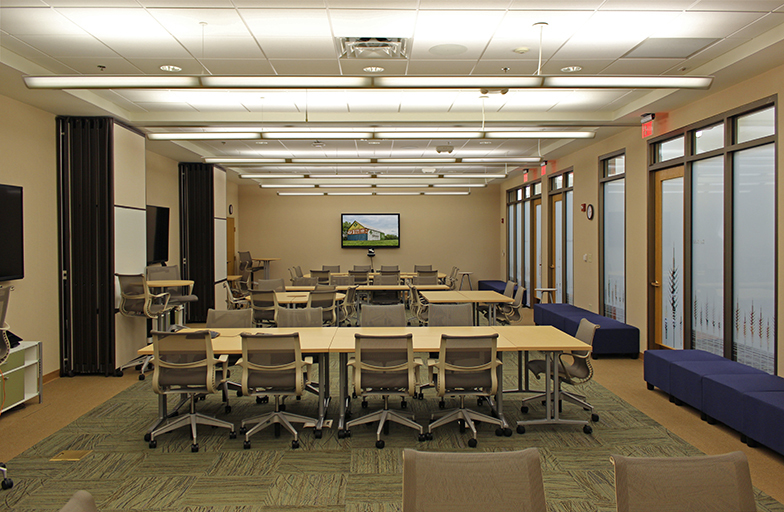 AJRC also introduced new workstation and conference room furniture and equipment concepts as part of the project. The character of selected finishes is agricultural and rustic. 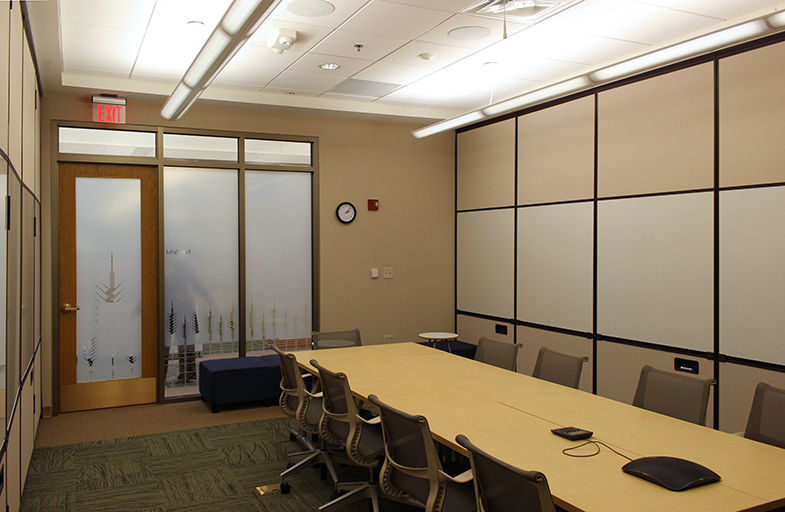 The low workstation partitions and wide aisles improve team communication. This new 2,400-SF retail showroom store was designed and built to match the footprint of a demolished structure on the site. 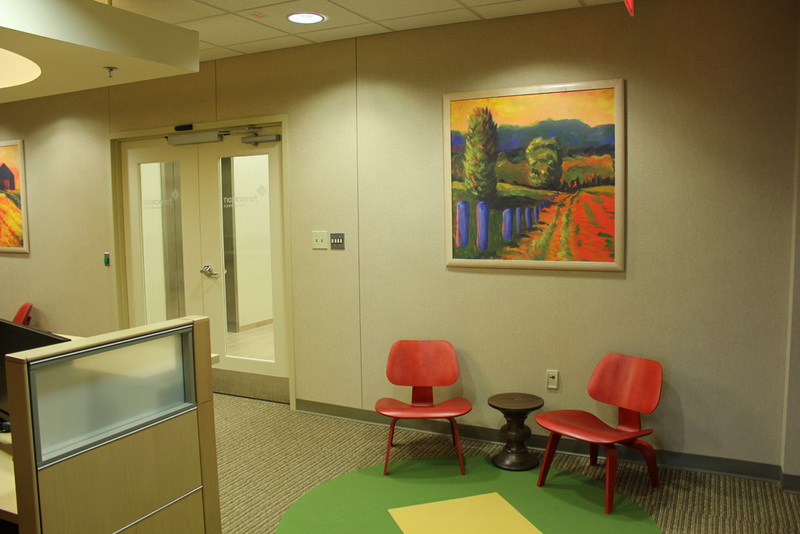 Materials and colors were selected to comply with the new Verizon corporate branding and image. This new 2,025-SF retail coffee shop was designed and built on a narrow commercial development site. Materials and colors were selected to continue the image of the tenants other locations. 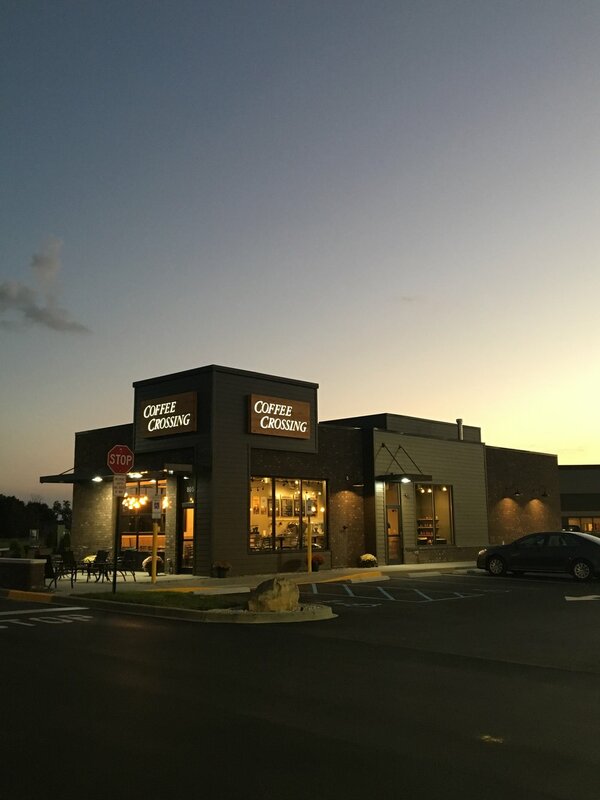 Exposed roof structure, reclaimed wood, a fireplace, and an outdoor terrace accessible through an operable overhead door add to the overall desired atmosphere of a casual coffeehouse.